February 7, 2018 by Shaunette Stokes, Esq. Most people have a lot of questions when it comes to Trademark law. Hopefully, I can help clarify the most popular questions clients ask about Trademarking. 1. Am I required to register my mark? You are not required to trademark your name or logo, however, it is strongly recommended that you do so. The purpose of a Trademark is to serve as a source identifier of certain goods or services. Trademarks become icons that are synonymous with whatever branding efforts you are putting forth on the market. 2. How valuable are trademarks? Trademarks are very valuable forms of intellectual property because they are assets that help grow your business and over time, their value increases. Depending on the success of your company or product, you would not want to allow another company to infringe on your mark and or take a portion of your customers by confusing them. The purpose of protection is so that consumers are not confused that the infringing company is actually your company. They can possibly ruin the integrity of your mark by disseminating a product similar to yours with lesser quality. 3. What happens if I do not register my trademark? There are several potential scenarios that you can consider. One, that your product or service gains extreme success. 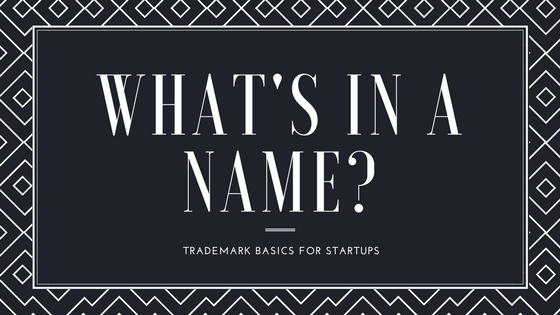 Someone may see your name or logo and realize that it is not trademarked and they can attempt to trademark your brand for themselves. This, of course, can cause a great deal of litigation which will essentially cost you more in the end. This individual can not only prevent you from using your own logo (or name) but they could start their own company with your brand. If a situation like this occurs, then you as the original “owner” of the mark may challenge their subsequent registration but this, of course, costs more than the costs associated with originally registering the mark. Registering your mark first gives you the rebuttable presumption that you owned the mark and used the mark prior to anyone else in the United States. This is why trademarking is important. A person can either build on the success you have worked hard to build, or they can ruin your brand’s reputation. Another unfortunate scenario is when you conduct business with their name or logo without trademarking it. If another company sees it and decides that your mark is close to their logo (or their trademark, if they have already trademarked) then they will send you a cease and desist letter to stop you from using it and may demand that you pay them all of the proceeds from your sales or they will sue. If you have built up a following and reputation that identifies your services with your name or logo, you could potentially lose that brand recognition and you could be forced to pay money that you earned. A judge could also order that you transfer your domain name to trademark owner in a trademark infringement action. 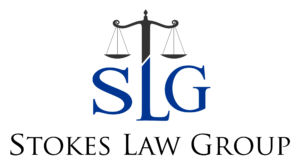 Even if you are successful in defending against this action, you could potentially incur hefty attorney’s fees as a result. 4. Come on! This could never happen to me! Au contraire, mon frère! I recently read an article about an attorney who stopped practicing law to become an artisan chocolatier. She started a company named CocoVaa, which is a play on her name. She actually went through the process of having her name trademarked and registered. She has been in business several years making artisan chocolate. The MARS candy company recently sued her for trademark infringement. They are claiming that her mark CocoVaa infringes on their mark CocoaVia, which is a herbal nutrition supplement in pill form made from cocoa beans. She makes candy and sells it exclusively in her shop (I believe), and MARS sells their supplement in health stores like Walgreens and GNC in the nutrition aisle. The MARS company’s product is not actually candy, it is more like an over the counter supplement. They have demanded all profits from her sales since she has been in business. The case initiated by MARS has been dismissed; however, this is an example of a real-life scenario that illustrates why trademarking is very important. Trademarks are highly technical because it matters how the mark is used in relation to certain categories of goods/services, but the result can be devastating if a company has been using it in the production and sale of their products for a long period of time and are suddenly told they have to stop. 5. What is the process for Trademark protection of my name or logo? The first step before attempting to trademark something is to conduct thorough research to see if there are any similar marks. This is done before you pay the expensive fees for the filing application and wait nine months just to hear a “No.” This serves two purposes, first to see if there is a mark that is substantially similar to yours and if there is; if it is being used for goods/services that are similar in nature to yours. This is a preventative step to make sure that your potential mark is trademark worthy and also to an attempt to determine whether there is a potential for a trademark dispute in the future. Second, the preliminary research and analysis can be used as a tool in further developing your own logo so that you can develop something that is unique enough to serve as a strong identifier for your own goods. There may be another company with a similar logo or name in your industry. If they already have it trademarked, then your use of your logo could be infringing on their mark. This can open you up to a lawsuit or create a scenario where you will have to stop using it later on down the line after you have been in business for a while. Ultimately, you would be required to rebrand your entire company. 6. No worries! I’ll wait to register when my company gets bigger. There is a huge misconception that only big companies get their name or logos trademarked. This can’t be further from the truth. Large companies have often gotten their trademarks early on in the inception of their businesses. Gradually as your company grows, the brand recognition associated with that mark also grows. Pepsi did not wait until 2018 to trademark their logo. They trademarked it back in 1937 when they were in the glass bottles in country gas stations and gradually built a strong customer base that associated that blue and red logo with some great cola soda. If you have the vision to make your business into a large company in the industry you choose, then you need to consider trademarking your logo or developing a logo that can withstand that vision. Trademarking is kind of like dressing for the job you want, rather than the job you have. Your business may be small right now, but if you have the vision to expand it, then now is the time to start building a brand and protecting the intellectual property associated with your brand/company. If you are ready to get your business name or logo trademarked, schedule a FREE consultation here.